Choosing an appropriate veld management system for your farm can be tricky and expensive. Roelof Bezuidenhout provides some tips. Veld management study groups are an efficient way of learning to monitor the condition of, as well as changes in, your veld. The advantages of rotational grazing were already known in England and Germany by the 1800s, but were only investigated and researched in South Africa after the widespread drought of 1933. For decades after that, veld management was aimed at counteracting desertification and erosion brought about by overstocking and overgrazing. During this period, government provided generous subsidies to erect fences. Today, fencing has become prohibitively expensive. Later, the focus switched to veld improvement aimed at providing better nutrition for livestock or achieving certain goals, such as combating bush encroachment, grazing down overgrown vegetation, using sourgrass before it became unpalatable, or conserving vulnerable plants such as spekboom. Today, there is a specialised veld grazing system for virtually every situation. These range from a simple low-intensity grazing system for arid regions with low and erratic rainfall, to high-density, quick-rotational systems in which a large herd grazes an area for very short periods once or twice a year. Even within a district, grazing systems on farms differ due to differences in area, topography, rainfall and veld type. Ensuring profitable animal production in the long term by creating vigorous growth and good quality fodder in the form of perennial grasses, shrubs and trees. 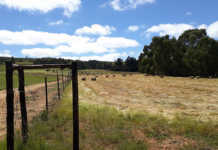 The veld cover should be in line with what can be expected in any specific area, with bare patches and unpalatable plants limited to a minimum. Ensuring that there are enough resting periods. These will guard against fodder shortage, particularly in dry periods. Managing livestock so that they utilise the veld productively and sustainably. The animals should be suited to the vegetation and be stocked at the appropriate rate. To be successful, a farmer must balance the needs of both animals and the plants, recognising changes in the vegetation and reacting accordingly. 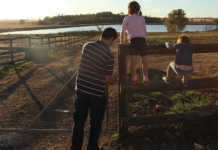 Well-planned and maintained infrastructure – fences, handling pens, water pumps, troughs and so forth – is a key element. The benefits of high-density grazing systems (HDGS) are similar to those of continuous grazing systems in which grazing periods are longer than resting periods. But while HDGS can considerably raise production per hectare – because many more animals graze the grass and trample the veld – these systems need more infrastructure and better management. If management is not up to par, production per animal can suffer badly. These systems mimic the feeding habits of nomadic game animals before the land was settled. They do have drawbacks, however. During drought, it is possible to run out of spare camps, particularly in regions where rainfall is largely unpredictable. On the other hand, not resting camps frequently or long enough can eventually change the veld composition negatively, with unpalatable and woody species taking over and reducing grazing capacity. If stocking rates are kept low, however, these systems usually ensure good production because, instead of being forced to graze unpalatable feed, the animals can select their favourite grasses. 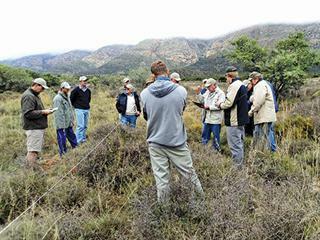 A new farmer should obtain advice from experienced neighbours or the nearest agricultural research institute about the best veld management system for his particular needs. The experts can assess the condition of the farm to establish a realistic stocking rate and suggest the best type of animal or combination of animals to keep. The best veld grazing systems are those that afford the most flexibility – where one can use a combination of methods on the same farm, depending on short-term goals. For example, parts of the farm might need more rest than others while some could do with more intensive grazing. Livestock have different requirements at various stages of their life cycles and must be managed accordingly. 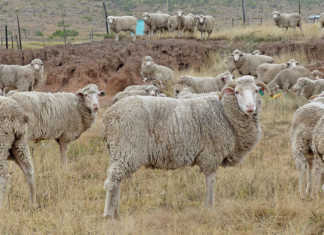 For example, pregnant or lactating ewes need more attention and better fodder than dry stock such as whethers. In most parts of the country, lack of rain and hot summers make progress through veld management a slow process and a life-time endeavour. But having some kind of grazing plan is better than not having one at all. Why are rest periods crucial? allow grazed veld to re-build root reserves. The best results are achieved after rain when plants resume growing after a dry period or after winter, and when they are at their most vulnerable. In the Karoo, autumn and winter rain favours the shrub component of the veld, while later rain helps the grasses.